We Know Shipping Jet Boats! jet boat moved anywhere in the world. Shipping your jet boat is an important job. Its safe arrival at chosen destination hinges largely on who you trust with your favorite water toy. Your jet boat deserves the special attention it can only get from a professional boat transport company. Nationwide Boat Shipping is the top choice for local, across the state, or across the country service. 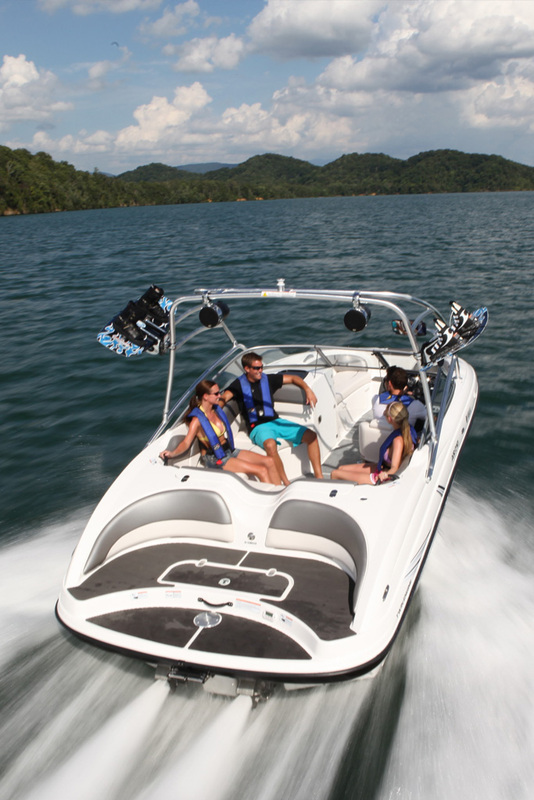 Your jet boat will receive the highest level of care during preparation, loading, and transport. Our experts will plan the most efficient route and take care of getting all permits and escorts needed for shipping. You can stay in continuous contact with the transport vehicle during the entire process, so you can know how the trip is progressing. The popularity of jet boats is largely due to the tremendous maneuverability and versatility of the vessels. They differ greatly, in terms of shipping, to the larger power boats that use an external propeller system located at the back of the boat. Jet boats are designed to gain their power by drawing water from underneath the boat into a pump inside the boat. These and other structural differences must be taken into consideration before the shipping process begins, to ensure that the vessel arrives in good condition. The professional boat transport specialists at Nationwide Boat Shipping have the experience needed to take care of your jet boat transport safely and efficiently. They understand the structural issues and know how to keep your jet boat safe from harm. Call (800) 352-8475 to talk with one of our logistics professionals for a free no obligation quote today! Whether you are transporting your jet boat to your favorite local spot, taking it with you across the country to its new home, or shipping a jet boat you purchased online, we can get you there safely. Nationwide Boat Shipping will transport your jet boat to any state in the nation, no matter how far the distance. You will always get premium jet boat shipping services with us and at a competitive price you can afford. So, you can sit back and relax; we've got everything under control. "Nationwide Boat Shipping was able to move our jet boat for the family when we took it on vacation for a month & they also got the transport back home! Thanks for everything!" "The crew at Nationwide Boat SHipping are the best!!! Kept me in the loop the throughout the entire transport process!" "Nationwide Boat Shipping took away all my concerns on getting my favorite "toy" - my jet boat - moved for me! Can't say thanks enough!